Our three libraries offer a wealth of services and programs to residents of the Hilltowns and beyond. Yes, they still have books, but also DVDs, free Wi-Fi, summer reading programs, special interest groups, family storytime, book clubs, after-school groups, technology assistance, literary programs, and literacy services. As members of Upper Hudson Library System, they're able to access a wide array of materials and services for the Hilltowns. More information on hours, services, and programs here. 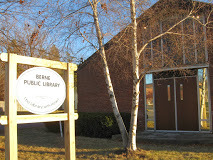 The library is located in a former church in the village of Berne, across from Berne-Knox-Westerlo Central School. It is committed to meeting the needs of the community through resources for life-long learning and entertainment. Located in a former boot shop in the hamlet of Rensselaerville, the library strives to preserve a historical gathering place, promote a life-long love of learning, and foster personal connections. Information on hours, services, and programs here. Information on hours, programs, and services here. 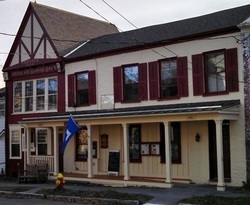 The library is housed in a historic building in the village of Westerlo, at the corner of State Route 143 and County Route 1. While the library has moved forward into the electronic age, it retains its friendly, personalized service and relaxed atmosphere.